CRIME, GUNS, AND VIDEOTAPE: From My Dead Cold Hands! What Does That Mean? Washington, DC—As Barack Obama and the usual suspects plan their tyranny against gun owners I suspect they don’t have a clue just what the consequences are for a war on armed Americans. American gun owners feel that the Second Amendment questions were settled by the Heller decision last summer. They are not about to let some group of lawless despots infringe on their rights to keep and bear arms. It’s one thing to say, “From my dead cold hands!” But there is so much more to this. The offending politicians, bureaucrats along with the gun confiscators and their families will be paying with their lives too. As I write this the home addresses of prominent folks in the movement are being collected and distributed. As the raids begin against gun owners there will be an equally heavy price for those that dare conspire, facilitate or in any way violate gun owners rights will have to pay. Gun owners remember only too well the men, women and children murdered by federal agents and military members at Waco, Texas. They also remember the government terrorism unleashed on Randy Weaver and his family. I don’t think it would be wise for the Obama Administration to disturb the sleeping giant. Guns and ammunition has been hoarded now for many months. The media has it wrong. The hoarding is not to obtain the firepower before a big ban. The hoarding is more about stopping the spread of Communism and expected violent gun confiscation. 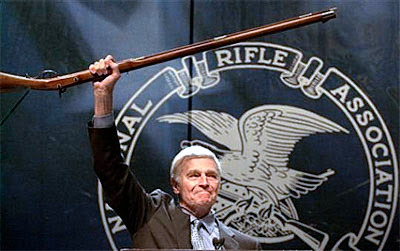 Wholesale gun confiscation in America will bring Armageddon. Those that think that gun confiscation would be peaceful and need to think again. How many people must die to pursue an un-America agenda? the founding documents of this nation proclaim that our rights are given to us by God, and we cannot be separated from those rights.... any politician that tries to deny us those rights is in violation of their oath of office and therefore any order issued by them is an illegal order. We are in for a bumpy ride, buy ammo, buy guns, and have the perfect perch for a good shot. Many should pray Psalms 10:15 over Obama. And no its not a police ten-code. Psalm 10:15 Oh Lord break the arm of the wicked and the evil man; Seek out his wickedness until You find none." Sad thing is the Lord may not answer that prayer. Because America has pushed Him away. Out of the courts, out of the schools ecetera. People forget how this country was formed. Yes,the Obama administration plan to move on Lexington and Concord.